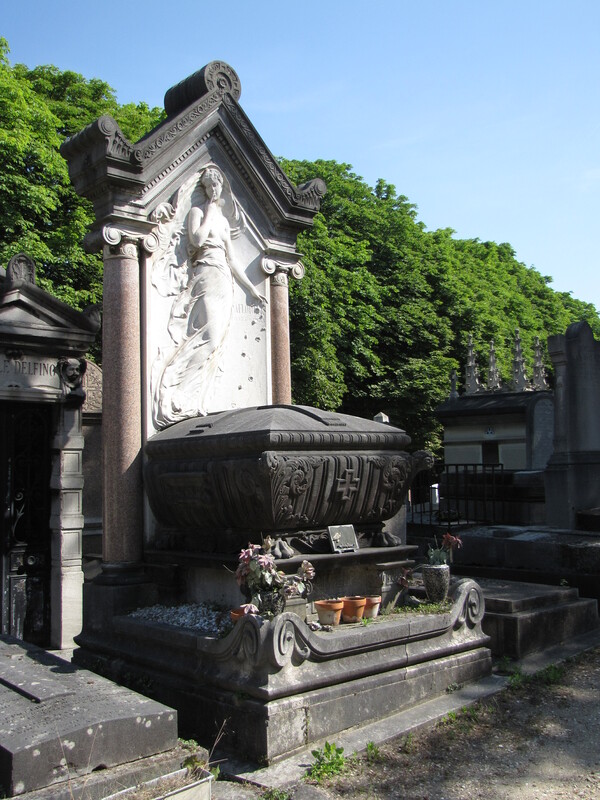 The elaborate monument of A. Florens (1873-1885) in the Le Père Lachaise Cemetery honors a 12-year old child. The tomb, replete with symbolism, features a small limestone sarcophagus that sits in front of a sculpture flanked by two Ionic columns of pink granite holding up a decorative cornice that frames the top of the tomb. 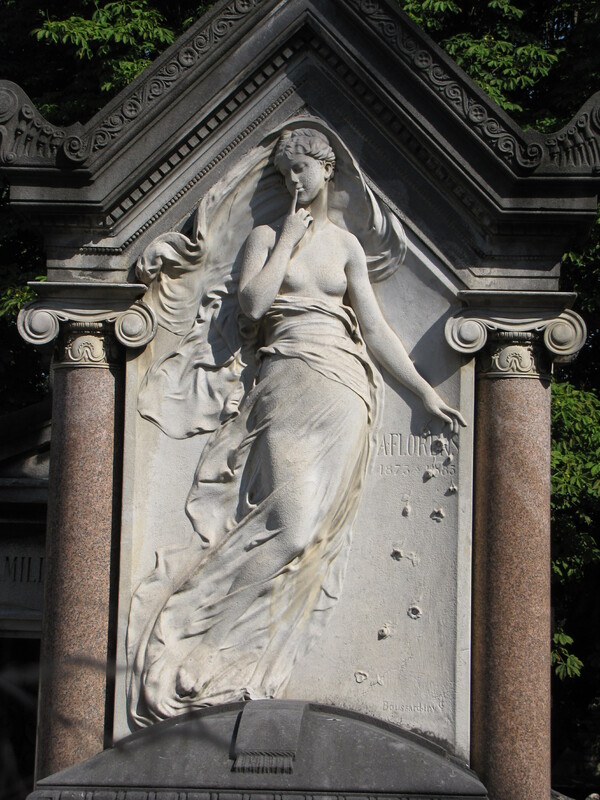 The centerpiece of the monument is a white-marble bas-relief of a bare-breasted mourning figure half covered in billowing drapery who appears to be floating above the child’s sarcophagus. She holds one finger to her lips almost as if she is warning passersby to be quiet as the young child sleeps. This also can be a sign of eternal silence. She gently drops delicate flowers with her other hand. This act is a recurring funerary motif designed to remind the viewer that life is short. Many funerary symbols from that time period expressed the transitory nature of life–how one could be strong and vital one day and dead the next. The sculpture of the young woman placing flowers on graves recreates a tradition begun by the ancient Greeks and Romans that we practice to this day.